There are many challenges related to MEMS packaging since without a reliable and qualified package, it is not possible for one’s customers to easily and confidently integrate a MEMS product into their end product. In SiTime’s case they had a double challenge of having to qualify their new technology while meeting or exceeding the customer’s expectations of a typical quartz oscillator. Quartz oscillators are a well established technology with specific qualification procedures to ensure long-term reliability. For example, there are JEDEC and US Military Standard (MIL-SPEC) quality standards that define precise test procedures to qualify quartz oscillators. These test procedures however are based upon both the end application and the technology being tested (quartz oscillators). These standards are designed to stress and push the technology, sometimes to failure, often based upon known failure modes and technology sensitivities. The challenge is to not only pass the reliability tests for the technology being displaced but to demonstrate reliability based upon the end application and sensitivities of the new technology. Even though there were several existing MEMS packaging technologies available to SiTime at the start of their development, these were inappropriate for their product. For example, typically MEMS packaging at 1.4 mm was too tall since the mobile electronics industry is moving to less than 1 mm. Some of the packaging developed for sensing often contain a hole to expose the MEMS element to the environment which might be a problem for the device. Making any change, regardless of how minor it appeared, to the existing packaging and processes requires a full validation and qualification effort. These efforts frequently take significant time and money, two things that are in short supply for a startup such as SiTime. In order to accelerate customer adoption, SiTime decided to use existing quad-flat no-leads (QFN) packaging to mimic the form factor of existing quartz oscillator packaging. From an assembly process development perspective, this was a good choice since there were no MEMS-specific changes required. They quickly ran into the issue that quartz oscillator packages are typically hermetically sealed providing a moisture sensitivity level (MSL) of 1 (at 260 C). An MSL 1 rating means the package will survive the assembly process regardless of how long it is exposed to moisture prior to being soldered to the printed circuit board (PCB). Any other MSL rating requires expensive special shipping containers and/or limits the shelf life of the parts. Therefore, to be drop-in equivalent they needed to achieve this rating which took them three iterations of packaging process each taking two to three months to complete. After validating the “final” process they had to complete a full qualification which took three months. All told, this one qualification aspect took the better part of a year to complete. Mr. Gupta then reviewed the effort to construct a good qualification plan. First, they started with various product requirements and standards across several technology areas including quartz oscillators, MEMS devices, and QFN packaging. They selected test procedures that would predict the failure rate over time, failure modes, and failure mechanisms. Then they had to engage with their target customers to review this plan. 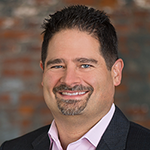 Beyond the industry standard tests, many customers have specific additional tests they want run based upon their end product requirements, areas of concern, and areas they have seen failures in before. The process of defining the qualification plan takes a fair amount of time and effort but is important to have defined prior to starting the tests, some of which can take many months. In addition, to the HTOL testing, which is very appropriate for SiTime’s device since it contains an application specific integrated circuit (ASIC) to control and read the MEMS element, SiTime’s customers required a dynamic aging test. This test takes a quantity of the devices at a specific temperature and measures the operation of each device over an extended period of time to make sure there is no change. For this particular product, SiTime had to construct two custom test setups, one at 25 C and one at 80 C, to continuously measure the performance of devices for over a year. They will probably continue this testing for several years to characterize the performance of their devices over time. The dynamic aging test, though not typically used for semiconductors is commonly used test to determine quartz oscillator reliability hence an appropriate request from SiTime customers. Similarly, since quartz oscillators and MEMS resonators actually vibrate during use it was necessary to characterize any change in device output when mechanically shocked. Not a typical test for semiconductors, but again an appropriate test for the SiTime part. Extensive qualification tests, appropriate to the device technology and end application, are necessary to insure product reliability. Ideally existing packaging technology should be used to reduce the required testing. However as this is not always possible, it is best to minimize deviation from off-the-shelf solutions. Due to the complexity of the tests, the time and resources it takes to complete (especially when modifications and retesting may be required), the need to engage customers, and the inevitable technology challenges one can never start package design and qualification early enough. In “High-reliability Accelerometer and Pressure Sensor Design and Test”, Tom Kwa (MEMS Design and Development Manager, Meggitt Sensing Systems) highlighted the challenges in building and testing high reliability MEMS sensors for use in extreme conditions. He presented three example applications: pacemaker accelerometer, bunker-buster accelerometer, and aircraft tire pressure sensor. Mr. Kwa started by listing the origins of device unreliability from both mechanical and electrical root causes. Mechanical causes include fracture (due to over-load or stress concentration), stiction (due to humidity or particles), and stress (due to base strain or conditioning). Electrical failure causes include shorts (due to electro-static discharge (ESD) or metal diffusion), opens (due to ESD or metal corrosion), and drift (due to mobile ions, contact surface, or stress relief). For each application, Mr. Kwa listed some of the reliability challenges and provided specific examples of how they avoided these potential causes of low reliability. Pacemakers provide a challenge due to their expected service life as well as the high cost and risk of replacement. One of Meggitt’s Endevco brand accelerometers has been in use in pacemakers for over fifteen years without any field returns. Mr. Kwa then showed specific features of an accelerometer designed to prevent both over-range damage and stiction. Some of the extreme test conditions and results shown for this particular sensor for extreme conditions included acceleration at 1,400g, shock at 2,300g, and temperature testing from -55 to 125 C.
Fuzing applications, such as the detonation of bunker-busting munitions, require the sensor to not only survive the initial impact(s) but to properly sense the correct events. Some bunker-busting munitions “count” or sense the number of reinforced floors penetrated and only detonate after penetrating a minimum number to improve the ability to reach the desired target. The sensor needs to be designed to avoid mechanical damage from the over-range input of the impacts and be able to immediately return to normal operation without recalibration. Any deformation of the MEMS element from the shock needs to be minimal to avoid malfunction. Meggitt has developed specialized test equipment to provide the extreme high force shocks required to test sensors operating under these conditions and sells these items to others. Their comparison shock calibrator provides up to 10,000g while their Hopkinson Bar system can test in the range of 20,000g to 240,000g. Meggitt also has a system to test at even higher forces. Lastly, the aircraft tier pressure sensor application was used to illustrate how not only the design, but the materials and fabrication processes affect die stability and reliability. In order to sufficiently stress these pressure sensors Meggitt tests the sensors from -55 to 260 C with very fast changes in temperature. By subjecting the sensors to conditions similar to those seen in flight, the design, materials, and processes can be evaluated and adjusted as required to meet the extreme conditions. With care, MEMS sensors can be built to perform reliably under extreme conditions in “mission critical” applications. This requires signficant characterization and reliability testing along with extensive in-production testing to achieve the required quality levels. All these efforts definitely add to the cost of the products but Meggitt has demonstrated that it can be done reliably. 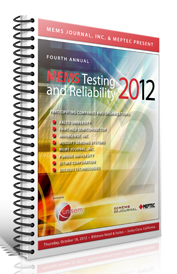 Stay tuned for the final summary of MEMS Testing and Reliability 2012 to be posted shortly.